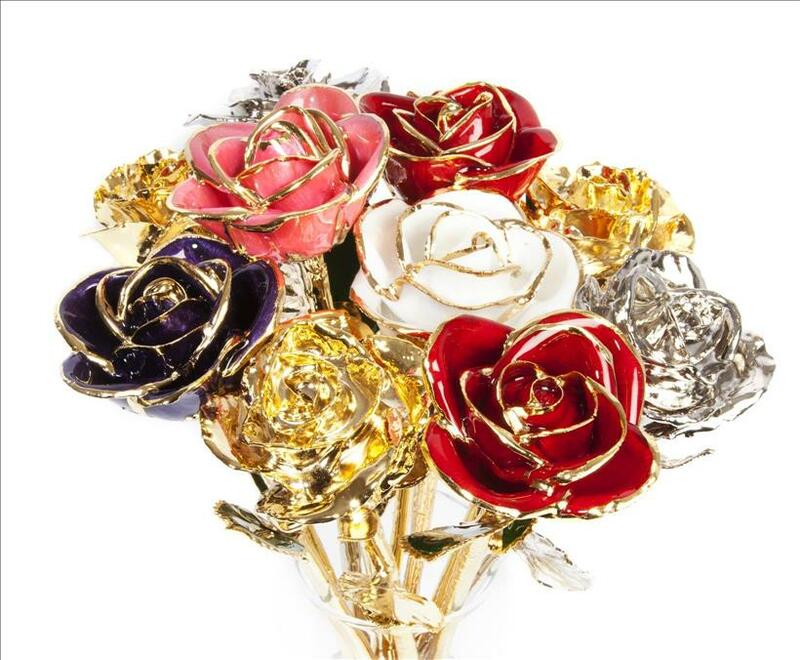 (MENAFN - GetNews) Preserved for eternity in ethically mined precious metal, Goldgenie's 24k gold and platinum luxury roses that are made of specially handpicked real roses are for life. LONDON - Feb 11, 2019 - Luxury gift company Goldgenie's real roses preserved in genuine 24k gold and platinum are designed to make Valentine's Day last for eternity. Gilded in ethically mined precious metal, it takes 4 weeks to create a single rose, capturing the minutest detail in each petal and leaf, preserving it perfectly in resin. These luxury roses are available for delivery on the next working day in the UK if ordered before 10 am. 'We pioneered our pure 24k gold-plated roses on the BBC show Dragons' Den and have since sold them in practically every continent and country in the world. This innovative luxury gift is totally unique and a work of art, with no two roses being exactly the same, said Laban Roomes, founder of Goldgenie. Harvested using a special process and carefully handpicked, these 24k gold roses created by Goldgenie come in a range of colours, including pink, red, platinum, purple and white. This perfect luxury gift also comes complete with a unique serial number, a lifetime guarantee and a certificate of authenticity (COA), signed by founder Laban Roomes. Each rose is packaged in either a standard ‘Mumm Cordon Rouge' champagne style box or a high gloss piano black box, handmade specifically for gifting. 'I was always fascinated with Immortalising organic items, literally making them last forever. Though we can never emulate nature's beauty, our completely unique process using the right techniques not only preserves but also enhances the beauty of these roses, said Roomes. Prices start from £136.00 in the standard box and £399.50 with the piano box, Goldgenie's luxury 24k gold and platinum roses for Valentine's Day can be ordered here . Founded in 1995 by award-winning entrepreneur Laban Roomes, Goldgenie is the world's premier gold-plating and customization brand, invested in by James Caan, serial entrepreneur and a former investor on the BBC TV programme Dragons' Den show in 2007. The company has established itself as the go-to customization service for a number of blue-chip organisations including Lexus, Honda, Toyota and Nokia and as a global leader in support of ethical mining.